It has been a great month here at Source Audio. Our pride-and-joy reverb pedal is finally making the rounds to the music gear publications and the results have been outstanding. We recently learned that the Ventris Dual Reverb was honored with Premier Guitar Magazine's coveted "Premier Gear Award." We couldn't be more grateful to accept this prestigious award, many thanks to all the fine musicians over at PG! 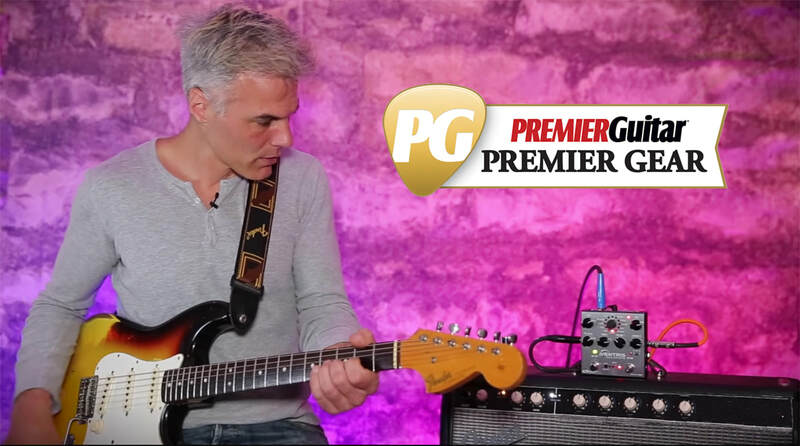 In addition to the award PG's Gear Editor, Charles Saufley wrote a very insightful review noting, "There is no single way to characterize the sound of the Ventris. The available voices are each very different in terms of dynamics and timbre. Source Audio’s efforts to nail the elusive, immersive properties lurking in the mist of a real spring’s clanging, metallic overtones means the true spring setting sounds and feels impressively like mechanical spring reverb. The modern, more artificial delays, meanwhile, react to your playing quite differently. But it’s the ease with which you can combine, blend, and manipulate these varied voices and textures that make the Ventris magical." Saufley concluded the review saying, "[The Ventris] does organic and old-school mechanical reverb with aplomb and in good taste. But the real joys are in combining Ventris' voices and the ease with which you can embark on deep sound-sculpting adventures." Again a sincere thanks to the highly knowledgable staff at Premier Guitar, we are honored.